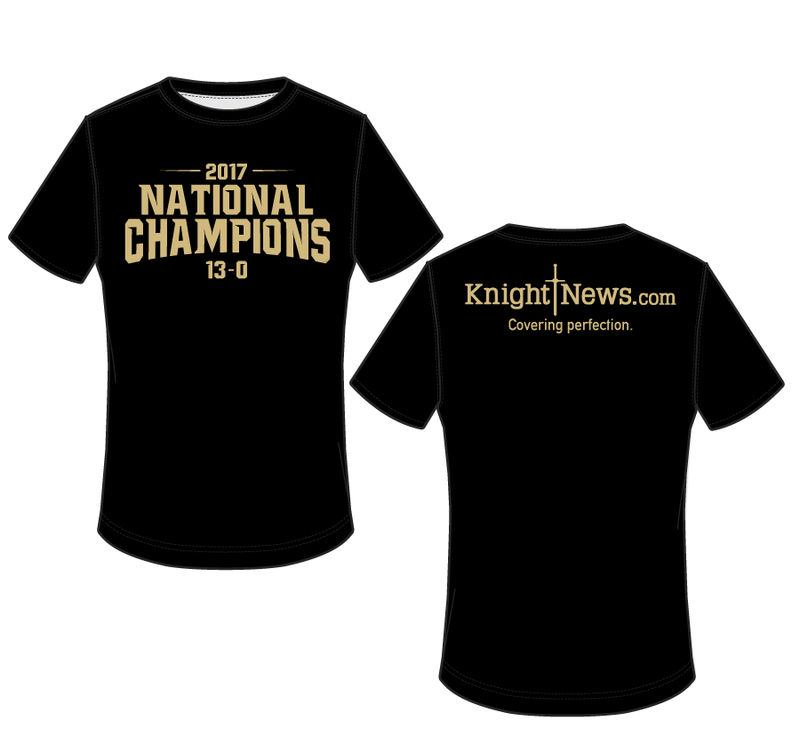 Home News Get Your Knight News National Champion T-Shirts! Support our student journalists and celebrate perfection with your National Champions t-shirt! SAVE ON SHIPPING: Choose Store Pickup at check out and grab your shirt at the Plaza Apartments leasing office, in the UCF area this January. We’ll announce when they’re ready. REMEMBER – SAVE ON SHIPPING. Choose store pickup and grab your shirt in person from the Plaza on University Leasing Office — once we announce they’re available, likely within a couple weeks! There is also now an option for shipping, available to select once you’re at checkout.